Weekday special. 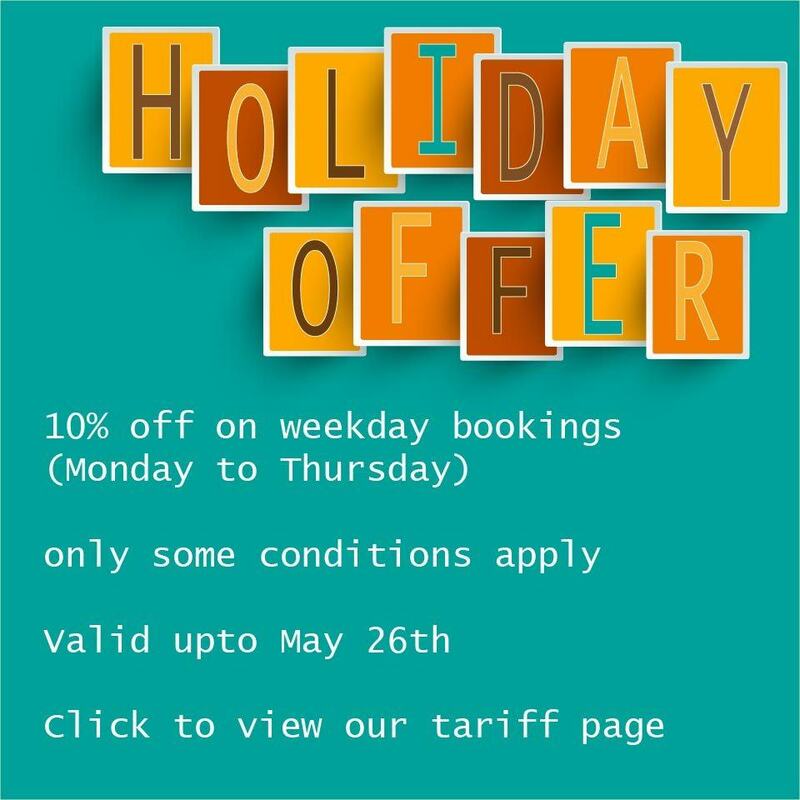 Go ahead & book your holiday on weekdays and take 10% off on our rates. Mugilu offers you a special holiday offer valid on bookings from Monday to Thursday (upto May 26th) and on a minimum two night booking. No other conditions. Do visit our FAQ page and Tariff page for more information, but make the booking quickly – its fast filling up in this season.